Turning wounds into wisdom and lessons into blessings....Blessons. My name is Jill Schumacher. I am a Physician Assistant and work in sports medicine. I went to the Philadelphia College of Osteopathic Medicine. Aside from working full time in orthopedics, my heart is really into medical missions. I have worked in several underprivileged countries in Africa and South America. I work as part of a medical team in a free clinic, providing basic medical care to patients from general medicine to dentistry and eye care. This is my heart and passion. I attended undergraduate school right after high school at Evangel University in Springfield, Missouri. I took a couple years off after school to work on gaining hands-on medical experience, working as a medical assistant. I went to graduate school after taking 3 years off after graduating from my undergraduate program. It took me 2 years to finish my graduate school degree. I really believe in the mission and heart of Blessons. I believe that it is so important to provide assistance to women who may not have access to education because of financial restraints. I personally wasn’t given any opportunities at scholarships and I have had to pay off debt from undergraduate and graduate school. My parents were not wealthy at all and couldn’t afford to help me with school. Dealing with physical, mental or emotional challenges is hard enough, and having scholarship money will help lessen the stress associated with going to school to pursue your dreams. You’ve dealt with a lot already; you shouldn’t have to deal with a financial limitation. 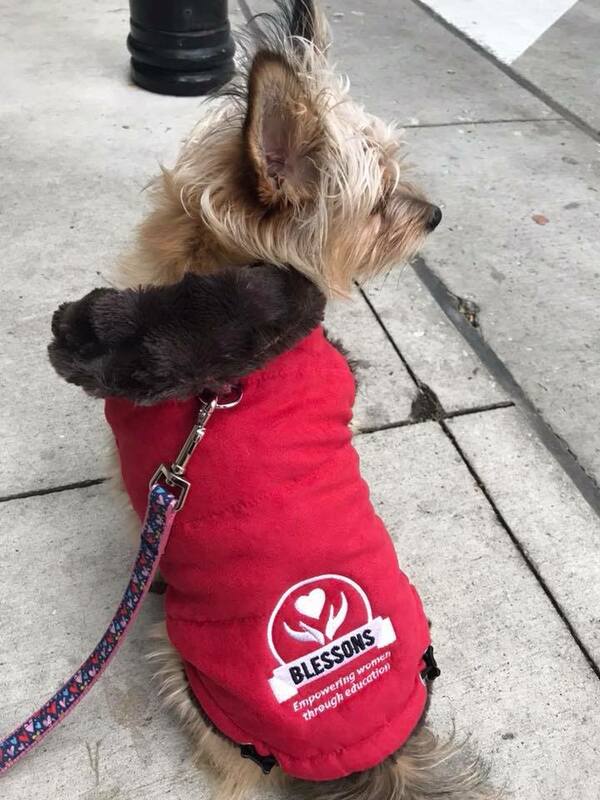 I love the word Blessons. I believe that every lesson I’ve had to learn has turned into a blessing in disguise. It may take to realize this, but every trial turns into a blessing, whether it is for me or someone else. I plan to run races supporting Blessons! Even if it’s just to bring awareness to this amazing organization! I have also personally recommended a close friend of mine to apply for a scholarship. She is dealing with a debilitating mental illness. She is struggling to go to school and finances are also a problem. I suggested she apply for a scholarship. I know this program/organization has the best of intentions and I want to see at least one of her worries alleviated by this scholarship. To stay positive, I focus on running. I focus on all the goals I’ve set for myself in the past and in the future. Running and my faith help me through the tough times. I compare some of my present problems to running. When I’m going through a hard time I remember a race that I struggled to finish, and how I kept putting one foot in front of the other to get me to the finish. Miraculously I do finish, and my goal is accomplished. I use running to help remind myself that I’ve survived bad situations, and I will continue to survive and finish, no matter what happens because I’m a fighter. Staying positive is important because the world can be negative. Not everyone has your best intentions at heart. So staying positive is important. You have to be your own light sometimes. People will try to tear you down. Life will tear you down. You can focus on the negative and it will become overwhelming. But rising above the negative is important. Running has helped me through many tough times in my life. It has kept me healthy and fit. Physically, emotionally and spiritually running has helped me. My husband is a below the knee amputee, he inspires me to run. He reminds me that you don’t have to run, you get to run. I realize that running is a gift and I am privilege to be able to do it. I also run with an organization called Athletes Serving Athletes. I push disabled athletes in a jogger for races ranging from 5k’s to marathons. The athletes I run with inspire me. They push me more than I push them. They give me this incredible power and energy I don’t have when running alone. I love running because I think it helps with all areas of mental health, but I’ve also found yoga to be helpful as well. The breathing techniques have helped me when I’m stressed out, running or not. When times get tough in a race, I slow down my breathing and pretend I’m in yoga, I practiced my yoga breathing. That has really helped my running and also it has helped during stressful times or situations. The combination of running and yoga has done wonders for me. I have an incredible husband, an amazing family, my faith and running. All these things help me overcome challenges. I pray a lot and my faith has gotten me through so many hard times. My fun fact: I’m married to Jack. We are Jack and Jill! I am a runner. I am 4’11” and I take on average 3-4 times the amount of steps a normal sized person takes in a marathon! I’ve done my research! But that doesn’t stop me. I’m the little engine that could!